Seiko has announced a pair of limited edition Prospex Marinemaster 1000 m “tuna” dive watches with shrouds made of cermet, a ceramic-metal composite used for the first time on a Seiko dive watch. 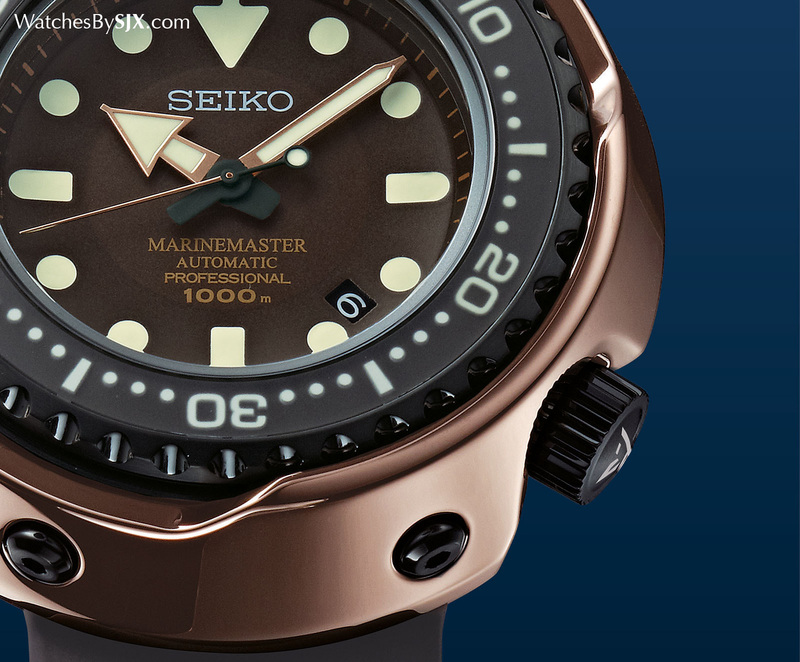 Alongside the Marinemaster Hi-Beat and “Emperor Tuna” in rose gold recently unveiled at Baselworld 2015, Seiko also revealed a pair of limited edition cermet “tuna” dive watches to mark the 50th anniversary of the Seiko diver’s watch. The first is the quartz SBBN029 with a silver cermet shroud, and the second is the automatic SBDX016 with a copper-coloured cermet shroud. Cermet is a ceramic and metal composite that has the properties of both its constituent materials. Cermet has the scratch resistance of ceramic, but also the malleability and elasticity of metal. And cermet also possesses the colour range and mirror-polished surface of metal. 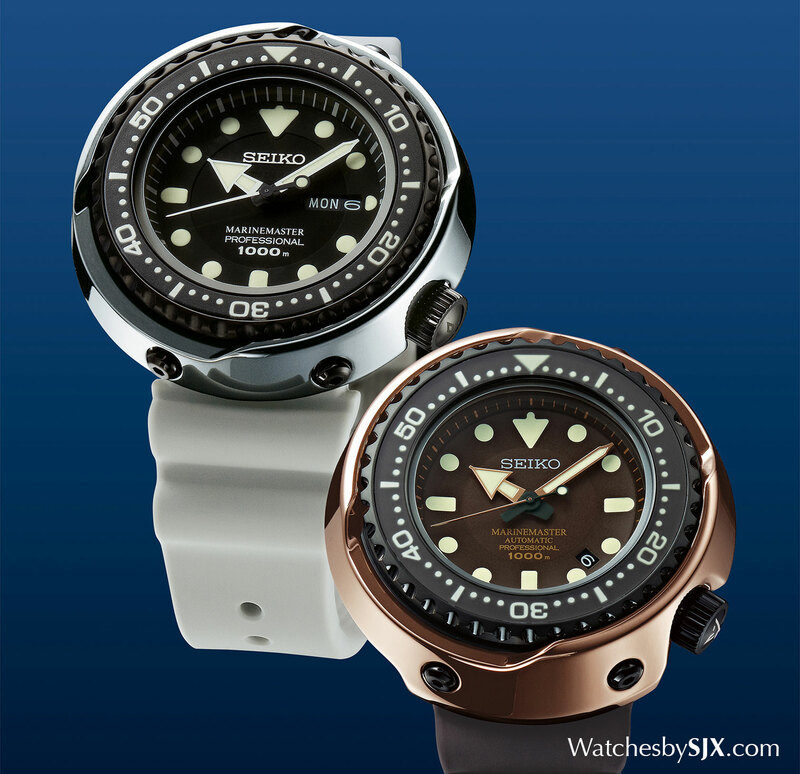 Traditionally Seiko has used pure ceramic for the shrouds of its professional dive watches, which are screwed onto the inner titanium case for additional protection. Ridges on the rim of the ceramic shroud also protect the bezel from accidental rotation. 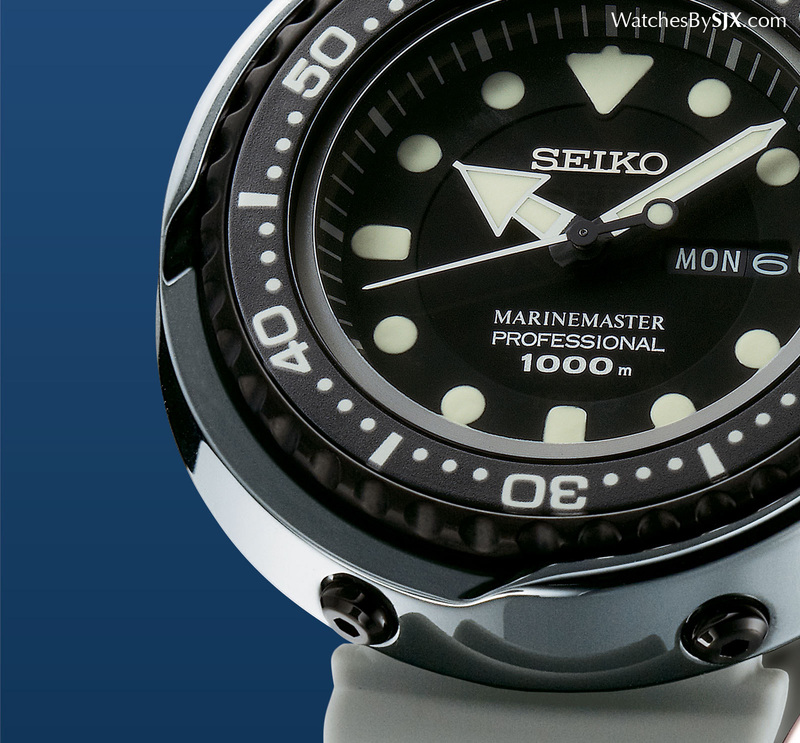 It is the shape of the shroud that led to the “tuna” nickname for Seiko’s shrouded diver’s watches. Cermet’s properties make it suited for a shroud, since it is hard but also less vulnerable to cracks and chips caused by sharp impacts. And unlike the traditional matte ceramic “tuna” shroud, the cermet shrouds have a glossy finish just like a metal alloy. The Marinemaster 1000 m quartz “tuna” SBBN029 has a 49.4 mm case (including the shroud) and stands 15.3 mm high. Inside is the 7C46 calibre that keeps time to within +/- 15 seconds a month and has a five year battery life. The shroud is silver-tone cermet, and the strap is white silicone. This is priced at ¥291,600. The Marinemaster 1000 m “Emperor Tuna” SBDX016 has the same dimensions as the SBDX014, 48.2 mm wide and 17.4 mm high. It’s powered by the 8L35 automatic movement with a 50 hour power reserve that’s based on the Grand Seiko calibre 9S55. The shroud is what Seiko calls “pink gold” cermet, matched with a mocha dial and strap. This will cost ¥432,000. Both are limited to 700 pieces with deliveries starting in July 2015.